community planning services, cultivating comprehensive master plans and strategic investment strategies for many of Macomb’s local communities. Macomb County’s quality of life initiatives including parks and recreation planning, downtown development programs and incorporating placemaking. capital improvement projects targeting infrastructure, transportation networks, non-motorized trails and regional transit. economic development services by supporting the county’s business retention, expansion and attraction efforts.  strategic communications and marketing, helping to promote Make Macomb Your Home and many of the county’s other promotional campaigns. environmental stewardship and natural resource management, supporting the county’s Blue Economy Initiative and agricultural operations. Rea holds a Bachelor of Science in political science with a minor in public administration and a master’s degree in public administration with an emphasis in urban and regional policy and planning from Grand Valley State University. Rea is a member of the American Institute of Certified Planners, represents Macomb County on the Suburban Mobility Authority for Regional Transit board of directors, sits on the Huron-Clinton Metropolitan Authority board of commissioners and is involved in many committees with the Southeast Michigan Council of Governments. He was recognized as a Hometown Hero by the Romeo-Washington Chamber of Commerce and made DBusiness' "30 in Their Thirties" and Crain's Detroit Business' "40 Under 40" lists in 2017. Rea resides in Washington Township with his lovely wife Roberta and their amazing kids Amelia and Daniel. He is a big supporter of the Macomb Orchard Trail, thoroughly enjoys making homemade pizza, runs an occasional 5K and loves the fact that he has the good fortune of helping to shape the future of such an amazing county.